The life of an actress in a glamorous field like Cinema is not an easy one. Especially when it happens in a country like India, where heroes are seen as the centre of attraction for every film, it becomes even more difficult for an actress to make a mark. She would most likely be judged by her looks and fashion choices, and very less by performance or the characters she plays. Unfortunately, the stardom achieved in this fashion is short-lived, as long as the good looks remain. But one gifted actress became a household name for every Telugu person, not for her fashion sense or glamour, but for her pleasant looks, natural acting and effervescent charisma. She is none other than Mahanati Savitri, who won many hearts from the yesteryear era in South Indian Cinema. Savitri has redefined many aspects of Telugu Films- especially the way heroines were portrayed in the films. Savitri was a feminist in her own way, by having an equal say along with the male protagonist-not by being brash and aggressive, but by being her utterly feminine self. She displayed softness as a trait of great inner strength but not as a sign of vulnerability. Her mannerisms, facial expressions, swift smile and excellent ability to get into the skin of a character is something quite admirable. The life of Savitri is laden with a twist of hard work as well as a tinge of luck when it comes to her film career. After getting trained early in dance, she gave performances in Kala Parishat, Madras, which got her a chance in the film Samsaram. But, the seniors felt that she was too young for the role and wasn’t suitable for the film career because she was too nervous to act opposite ANR! This incident led her to become more determined to become an actress and happened to do a dance sequence in Paatala Bhairavi which was appreciated by director K.V.Reddy. When it came to the casting of Devadasu, many people objected to Savitri being cast for the role of Parvati. 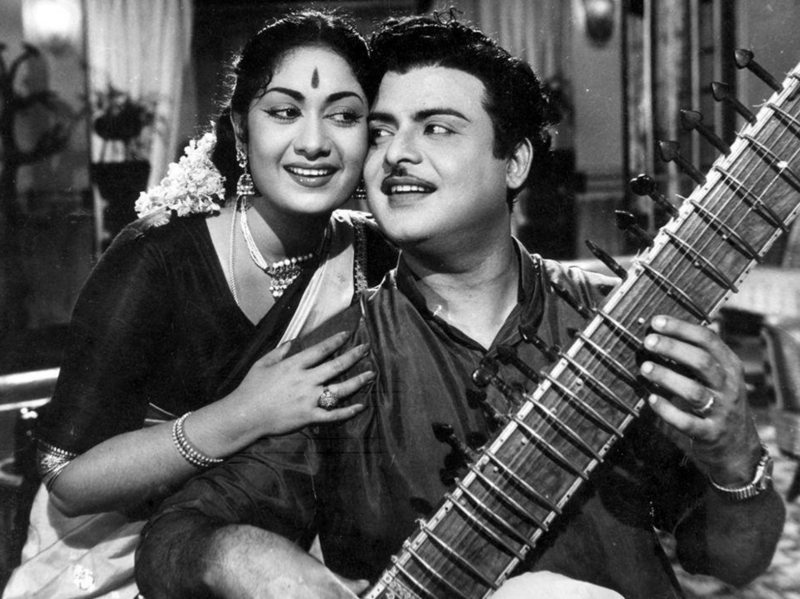 Many eyebrows were raised about her acting skills, but with the help of co-stars and crew, Savitri amazed the audience as Parvati forever. She could act as brilliant as ANR in the film and their pair became evergreen since then. But if people feel Savitri could only do such soft woman roles, it would be a grave mistake! The way in which her role in Gundamma Katha turns during the climax itself is the best example of it. She is a perfect embodiment of how a woman should be- a mix of tenderness, but again not fearing to show the aggressive side when the situation demands it! In short, Savitri became a role model for all the Telugu women for decades, with her charm and magic. When Bhanumathi had to step away from the classic film Missamma opposite Sr.NTR, it was Savitri who had to replace the void. The role of Miss Mary in Missamma is definitely not a cakewalk because the actress had to be quite confident in histrionics and display tremendous control and on-screen presence. Instead of imitating Bhanumathi’s strong-willed expressions, Savitri brought a new meaning to the word dominance and to the role and the rest, as they say, was history. Who can forget Savitri’s mesmerizing performance as Maya Sasirekha in Mayabazar. Her expressions imitating Ghatotkacha (SVR) with a sheer masculinity coupled with a sudden surge of feminity is something fantastic to see even till date. The song Sundari Nivanti Divyaswaroopam with comedian Relangi shows the magic of Savitri’s hilarious timing as well! There was absolutely nothing which Savitri could not do on screen- right from romance, comedy, anger, sadness, happiness, melancholy, aggression- she did it all. The melancholic expressions of Savitri in the song Paadutha Teeyaga in Mooga Manasulu is one such perfect example. It would be interesting to know that Savitri wanted to play the role of Gowri’s (Jamuna) character in Mooga Manasulu because of its chirpiness but Athreya and Adurthi Subbarao insisted that she do the female lead instead. Off-screen, Savitri was quite fond of jewellery in real life and used to buy every new model which was released in Madras during those days! She saw the heights of stardom when she was paired opposite every big hero of the Telugu Film industry. But, Savitri made sure that her childlike nature was never faltered even at this regard. She was often spotted plucking guavas from trees and having her own fun time during the breaks in sets! Savitri was known to be quite friendly to her co-stars like Suryakantham and many more, even off the sets, and soon became a darling matinee idol for every Telugu film lover! Savitri ruled the Telugu Film Industry for nearly two decades almost like a monopoly, but after the dawn of the 70s things started to look bleak for the actress. She was given character oriented roles, and when her co-stars started opting for younger actresses, Savitri was facing a setback. Her emotional side and strained personal relationships especially with husband Gemini Ganesan took her to tougher times. She was very lonely, despite witnessing such stardom in her life. The paparazzi was after her, digging into her image about her addiction to drinking, commenting on her personal habits, which tarnished her reputation even more. During the days when star value reduced, and when Savitri had to do small roles for the sake of earning money- she had to attend a shooting. During the lunch break, the cast and crew were having food brought from carriages in their respective AC rooms. For people who don’t get food from home, the production department has to arrange food. The actress did not get her lunch from home. When everybody was having lunch, she sat at a corner all alone. Seeing that, the production department people started hurrying up to arrange food for her. But Savitri, being a woman with great self-respect, said she couldn’t ask them to arrange lunch for her. Observing this scene, another veteran actor Gummadi came to her and asked her whether she had lunch or not. But Savitri replied saying she wasn’t hungry. Her face was laden with sadness and an insulted look, which Gummadi could instantly catch. He called her to have lunch with him by sharing his carriage, but she held her face down saying she doesn’t want to. She said,” Voddhu Annayya!”.When a person, who was like a brother to her, requested her fervently, Savitri could not decline his request and they both had lunch together. Later when Gummadi was having fever, Savitri went to visit him at his house. But when she reached the house, Gummadi was asleep. During his sleep, he felt his pillow being moved and after getting up he found Rs.2000 cash under his pillow (it was a huge amount those days). After knowing Savitri kept this, he called her up. She replied, “Once I took a debt of Rs.2000 from you. Despite so many days, I couldn’t repay it back. Today some producer came to me and cast me for a role and I got Rs.5000 paid for it. That is why I am able to repay it back”. Savitri faced many such troubles and spent her last days in a car shed. She was surrounded by people who tried to financially exploit her kindness and warm heart. This would come as quite a big shock to all her fans but there are bigger realities of life which should be learnt from Savitri. Handling fame is not an easy task and can get more overwhelming when it is an actress. Things get even more complicated when emotions rule the mind and loneliness starts to creep in. Many actors assume that fame is a permanent resident of their lives, but, the harsh reality steps in when it is realized that fame can leave any moment. Exactly the same situation was faced by Savitri and it led to the fall of a star. In retrospect to her life, it is quite evident that stardom is quite difficult to handle and brings more challenges to the person than one can imagine. The art of balancing quick stardom with a peaceful personal life is achieved by very few stars. Nevertheless, Savitri is always remembered for her immortal portrayals on screen and lives on in everybody’s heart for her mastery in celluloid. Her charming smile, graceful aura, acting brilliance can never be forgotten by any Telugu filmgoer. 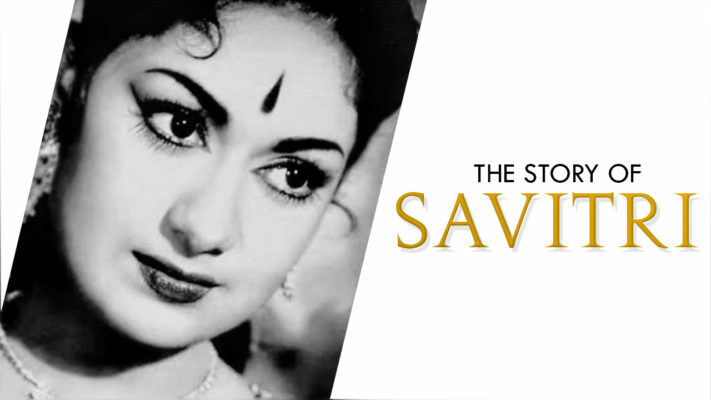 With the anticipated biopic Mahanati at the dawn of release, we wish to see more of the brilliant Savitri and her life, which made her so unforgettable in South Indian Cinema.